Are you ready to GROW your practice? The IAPAM is where the world’s physicians come together to obtain Internationally recognized Aesthetic Medicine and Botox Injection Training Certification. Our expert faculty of dermatologists will guide you with the latest techniques during our Hands-On CME Botox Training programs, Laser Training, Chemical Peel Training, Weight Loss Training, or one of our other hands-on aesthetic training programs. The IAPAM team will help you GROW your practice. Not only with clinical training, but ongoing resources and support to help your practice move continuously in an upward trend with patient acquisition, marketing initiatives and most importantly increased revenue. We know you didn't take any business classes at medical school, so you'll learn how to create a profitable aesthetics practice. 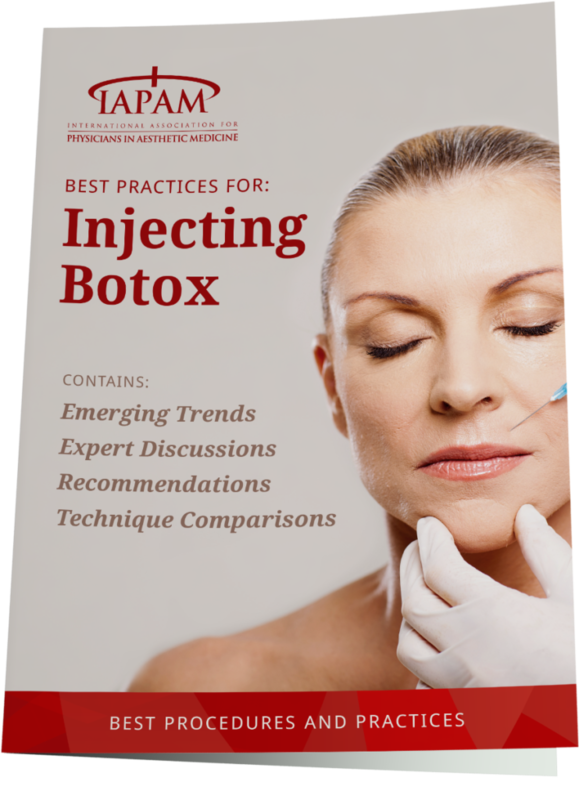 In the IAPAM's special free "Botox Injection Training" report you will learn about: Procedures and Practice Considerations, Effective Pain Management for injectable Patients, IAPAM’s Consensus Recommendations for treating Botox patients, techniques, emerging trends, and an expert discussion on Botox® vs Xeomin® vs Dysport®. At any given time, there are over 72 million Americans dieting, spending over $58 Billion on weight loss products. With 68.8% of Americans overweight or obese, you will be now be able to offer them an effective weight loss program, while adding $100,000-$900,000/yr in non-insurance based revenue to your practice! Over 80,000 patients have successfully, safely and quickly lost weight on the IAPAM Clean Start Weight Loss program (up to 30lbs in 40 days in many cases). Learn more. Choose a Day or Register for all 4 days and Save $3,090 & earn 25.5 CME’s!